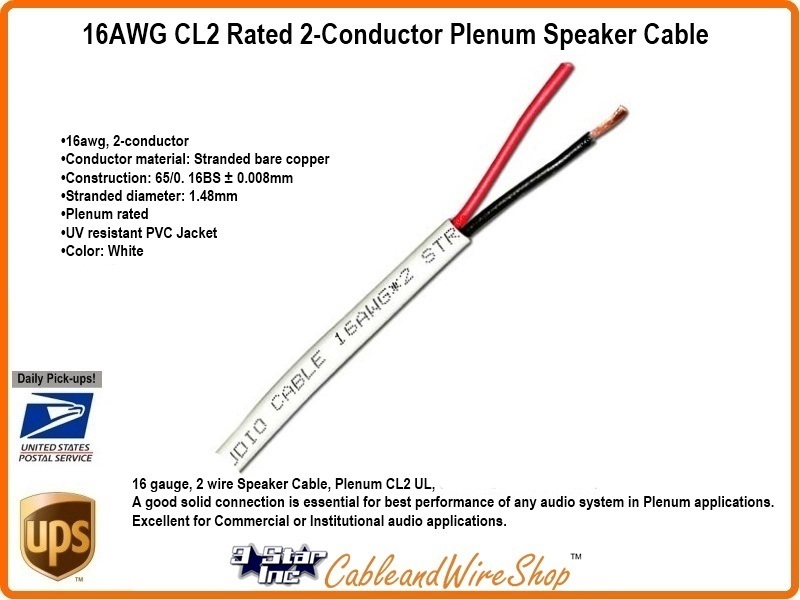 16 gauge, 2 wire Speaker Cable, Plenum CL2 UL, 500ft in a sturdy pull box. A good solid connection is essential for best performance of any audio system in Plenum applications. Excellent for Commercial or Institutional audio applications.